Here’s a preview of the coming up free pattern. It’s both knit and crochet. 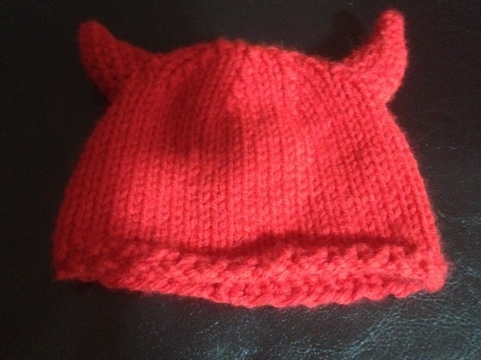 I’m working on a crochet only version and a diaper cover with a devil tail. I know the photo isn’t great. I’ll try to get better pictures on an actual baby.